Biome Grow will obtain the extract from CBD Acres Manufacturer Inc., a cannabis producer that has contracted 4,500 acres across Canada to grow hemp - the plant that the cannabis extract is derived from - under a memorandum of understanding between the two companies. Financial terms of the deal were not disclosed but Malik said the company is paying CBD Acres “less than half” the market rate of $15,000 per kilogram of CBD. Malik said Biome Grow will obtain 3,000 kilograms of CBD this year, and up to 20,000 kilograms over the next four years. Hemp is a cannabis-related plant that doesn’t contain the tetrahydrocannabinol (THC) compound that gets users high. It also contains higher concentrations of CBD, which is believed to alleviate a range of issues including inflammation, anxiety, and insomnia. The plant was recently legalized for commercial production in the U.S. under the latest Farm Bill legislation and may be further popularized if the World Health Organization decides to strike it from its list of drugs it deems the most dangerous. Although initial consumer sales of CBD products in the U.S. are estimated to be roughly US$350 million in 2017, cannabis industry research firm Brightfield Group estimates the global hemp-derived CBD market will become a $22 billion market by 2022. 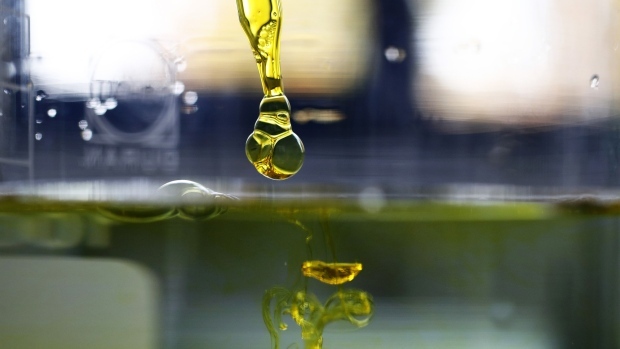 Ottawa-based LiveWell Canada Inc. announced similar major CBD agreements last year including selling 39,000 kilograms of its CBD oil over a 15-month period to Global Wellness Distributors LLC. and a separate agreement with Tilray Inc. to sell them 2,700 kilograms of hemp-derived CBD isolate. Malik said CBD Acres will begin growing outdoor hemp plants at its contracted farmland facilities this year and that it will be harvested and refined using custom-built equipment. The CBD extract will then be used in tinctures, pills, vape pens later this year and - when it becomes legal - topical products such as creams, Malik added. “Our expectations are that in the second half of this year, we’d be in a position to create these products when the new regulations are passed later this year,” Malik said. Malik noted Biome Grow will focus its CBD sales in markets such as Africa and Asia that have yet to fully regulate cannabis derivatives for medical purposes. Once it can convince those markets of the benefits of CBD products, he hopes the regulations can be expanded to include more medical cannabis products that include THC. “With CBD, we’ll start with specific diseases that are easy to explain and then work from there,” he added. Biome Grow and CBD Acres also share a common shareholder: Jacob Capital Management Inc. Malik, who is also head of research at Jacob Capital, said there isn’t a conflict between the two companies given the service-type nature of the arrangement although both can be considered a “related party” to each other.